It’s pretty scary to know that this is a major way that restaurants are obtaining shark fins for the menus. Under EU rules, travellers are able to bring back 20kg of dried shark fin in their luggage under the same personal allowance rule that covers tobacco and alcohol. 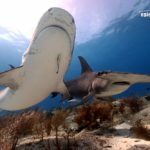 An investigation by the charity, Bite-Back, suggests shark fins arriving in the UK through this personal allowance loophole allows travellers to sell their customs allowance for as much £3,500 to restaurants. The 20kg allowance is enough to make 705 bowls of soup. There is simply no other foodstuff on the list of personal imports that compares to the sharkfin loophole in terms of quantity and value. 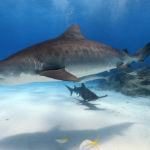 It is estimated that 20kg of shark fin is worth well of $5,000 USD on the black market. Clearly, 20kg could never be assumed for personal use only. This loophole allows for a virtually unregulated shark fin trade. 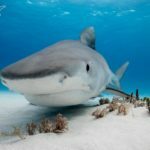 Bite-Back Shark and Marine Conservation has prepared an online petition accumulating signatures to help shut down this loophole. Please take 30 seconds to add your signature to the list! You can find the petition on Care 2's website.